Designed to convince anybody but sawcutters that their lives are perfect because they themselves are not sawcutters. It makes me feel blessed and a little stressed at the same time that it’s not me bending over at the waist, that these guys have it so tough. For hours, wielding a circular saw with a diamond blade that cuts through concrete. 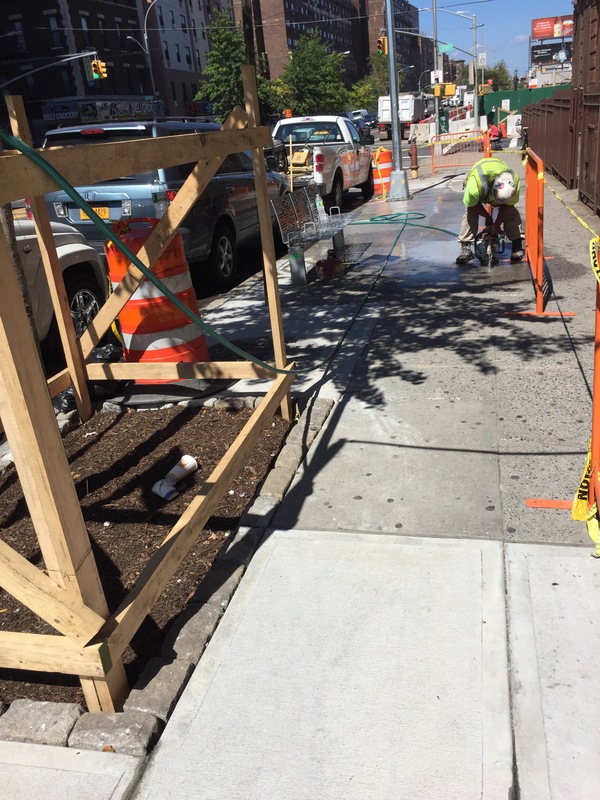 This is how we get the old sidewalk off to put down the new, and I get to watch not suffer. Like I say I count my blessings. Small ones. That my job is inspecting and writing up reports, for one. That the air today, though hot (90 now) is dry enough to feel comfortable. That a man at the SRO behind our worksite, sitting in a wheelchair, smiled ear to ear when he saw me, repeating “can I help you?” as he did the first time he saw me and made the joke yesterday. 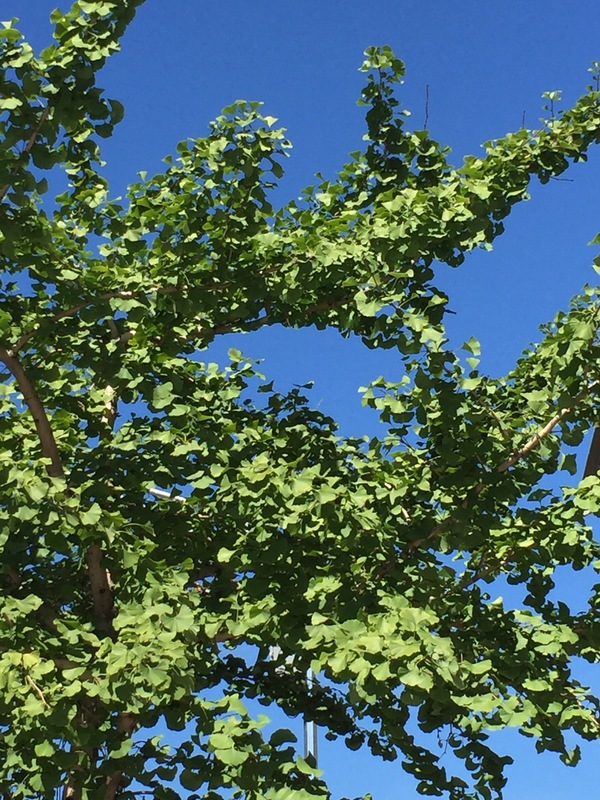 I am blessed that the ginkgo above my head is sweet, healthy and green. That there’s a clean and convenient McDonald’s bathroom seven blocks down the Avenue. And Popeyes, even cleaner, where I got two hot biscuits for lunch, straight out of the oven. That I get to immerse myself in this textured environment, this neighborhood in the South Bronx, for a period of months or more, that I’m allowed to be a fish out of water. I love your posts. I only wish there were more of them. But as it is, each notification that a new entry has been made sends such a pleasurable jolt of anticipation — always amply rewarded. In other words, please continue, Jean Zimmerman. I see New York City in such a new way, thanks to you.